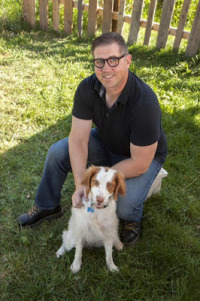 Clark Chamberlain is head of Raven International Publishing, the man behind A Bleak New World. 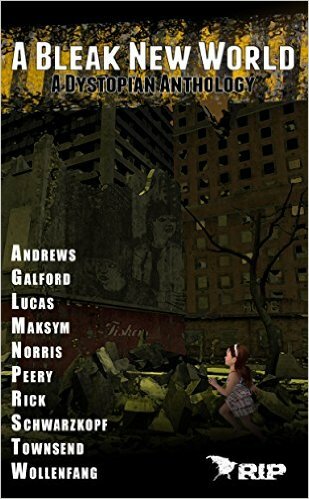 What was the story behind the story concerning Bleak New World? How did this book come about? A late night conversation with my old partner about a Brave New World. I had never read the book, and he highly recommended it. When I finished it I was left with a feeling that as dystopias go, I wouldn’t mind living in that world. It would be much better than 1984. From that, we wanted to see what others would create in the dystopian worlds of their imagination. We advertised the open for submissions and were pleasantly surprised by the numbers we received. Ernest Hemmingway, Malcolm X and Elmore Leonard. Both of these men changed how I viewed writing. With Hemmingway I learned that a writer needs to live, and from that living can find the true emotion of the human condition and put it on paper. I also learned to write shorter. Simple is better when trying to connect with a reader. From X I learned that story is the only way to truly experience another person’s life. When we read a story we are injected to another world. It’s the ultimate virtual reality machine. More importantly, story has the power to change lives. And Leonard showed me the power of great dialogue. How you can move the story and more importantly the backstory through conversation. His endings are a little abrupt, but his dialogue is amazing. Write every day. Even if it’s only 500 words. If you write 500 words a day you will have almost two books per year. Along with that, get the first draft down fast. The real magic in writing comes from editing, but you can’t start editing until you have a complete picture of what story you’re telling. Two things. First, build a great support group. People you trust to read your work and be honest about it without being mean. Second, learn all you can about writing, but don’t feel that you need to be an expert before you put pen to paper. Your writing will always be improving, so don’t let that hold you back from writing the best book you can today. What has been the hardest thing about publishing? Not having the capital to publish more. I read great stories every day that I have to pass on due to budget. Authors deserve to be paid well for their work and as we continue to grow here at RIP we’ll solve this problem. Tell us a funny publishing story. The first book that we published was called Love’s Deception. We did a short print run of 100 copies and when they were delivered I was reading one and realized that the wrong file had been uploaded to the printer. It was the version pre-line edit. So I had two boxes full of books I couldn’t do anything with. Well, fast forward three years and I finally found a use for them. 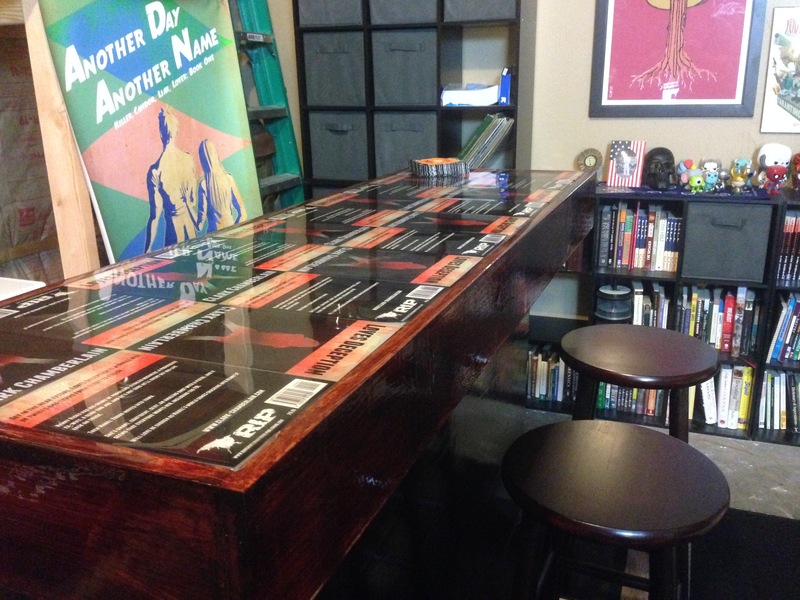 I built a bad book bar. It’s a great piece in the office, and a reminder to always double check the work every step of the way. What author’s style do you admire the most? Hemingway. He really had it all. Emotional connection. If I can’t connect with the characters it doesn’t matter how good the writing is, I’ll put it down. If publishing suddenly made you rich and famous, what would you do? I’d use my fame to bring more light to our failing veterans programs, and PTSD. If I was rich I’d put more funds into publishing great work, and maybe move the RIP offices to Coronado. What’s been the hardest thing about publishing for you? Time and project management. There are a lot of moving parts and keeping up on top of them is two full-time jobs. What do you do for cover art? I create all the cover art. I’ve been drawing since I was a kid and it’s one of my favorite things to do. Trying to create a visual image that tells a story and create intrigue is something that I’ve always enjoyed. Tell us the story behind the cover of Bleak New World. Children make the best of impossible situations. When I was out on patrol in Baghdad we were driving down this street and there were all these kids swimming in a canal. They were laughing and having a great time. The water was filthy, trash was floating on the top, and I’m sure human sewage was mixed in there too. These kids had grown up with war and they still hadn’t lost their playful hearts. So when I was drawing the cover for a Bleak New World I originally had the destroyed buildings and two teens that looked desperate and afraid. Then that memory of Iraq came through my mind and I re-worked it with the a girl playing in the street. No matter how bad things get, we have the choice on how to accept it. I have a love of female break-up songs. The man has done her wrong and she’s not going to let that stop her from having the life she wants. I sing along and love every moment of them. I’m like a duck on a pond. People see this happy go lucky guy but don’t see how much effort is going on behind the scenes to keep that together. Besides, publishing and reading, what do you enjoy doing? I love going to the movies on opening night. I like to experience it with a group. It amplifies the work. That’s a tough question. I think the first Hunger Games did well, and Gone Girl did it right too. What inspired you to start publishing? What’s a typical day like at RIP? Work starts at 8am with recording the Write Life, then move into my own writing for a few hours. After that I work on RIP business, upcoming projects, answering emails, reading submissions, marketing, and social media. I take a break in the late afternoon and then start back to work in the evening for a few more hours. The days are full, we have new work coming in and that’s a really good thing. Find out more at: http://www.raveninternationalpublishing.com/. love the bad book bar story!